Buy Helen’s books online or in your nearest indie bookshop! A few years ago, I was our family’s main breadwinner when I walked away from an excellent corporate career, with no redundancy package and not old enough for my pension, because the urge to write fiction was overwhelming. I signed up for an MA in Creative Writing to unlearn all the years of analytical thinking and writing business speak, hoping to unleash some creativity. It was an enormous gamble but we didn’t starve because I managed to juggle consultancy work alongside my studies and, later, became a freelance copywriter – and a published author. This wasn’t the first time I’d taken a big risk and thrown caution to the winds. In the first year of the new millennium, we were on a family camping holiday in France with our two young children when we made a snap decision and impulse-bought a cheap, tumbledown farm building, thinking it would be easy to turn it into a holiday home. It wasn’t. We’d fallen in love with a village in the Vendee, where there was a historic chateau and an inland beach, shaded by trees. The village had everything young children needed for a simple holiday. As we strolled along the shady main street, we noticed that many of the old stone cottages were up for sale at miniscule prices. The cottages were too small for a family of four. That’s when we noticed our ‘ruin’, a tumbledown farm outbuilding set in an overgrown field – similar to the property the Willshire family view in the opening chapter of my novel Lies Behind the Ruin. We were smitten. Our children looked on, horrified, as we inserted multiple credit cards into a sedate ATM, treating it like a fruit machine, and secured the ten per cent deposit. We handed it to the estate agent on the spot. Although our ‘ruin’ was very cheap, we didn’t have enough money in the bank to pay the balance, but we had a flexible mortgage on our house in the UK, so I regularly borrowed a bit more without telling the lender what we planned to use it for. Eighteen years on, we still have our French holiday house and we’re still working on it. Getting it into a habitable state took years and was fraught with problems, but we’ve enjoyed many happy times there. It’s been a sanctuary from our busy lives. I’d often thought of writing a novel set in France and wanted to share the sense of exhilaration, mingled with unease. Emma and Paul Willshire and their children in Lies Behind the Ruin, are destined for an even bumpier ride. Their everyday problems – being a blended family, Paul’s troubles at work and their rocky finances – turn into something darker because they can’t outrun secrets and lies from the past. The Willshire family were able to take advantage of the European Union’s ‘freedom of movement’ rules to relocate to France to set up a small business but the referendum on the UK’s membership of the European Union takes place as they are embarking on their new life. Trying to figure out the impact of Brexit becomes one, of many, problems they must grapple with. One of the challenges of writing contemporary fiction is staying relevant in a changing world. When the UK voted to leave the EU, I wondered if my book would turn out to be historical fiction but it’s set between 2015 and 2016 and ends early in 2017 so – deal or no deal – for the characters in my book, Brexit is still in the future. 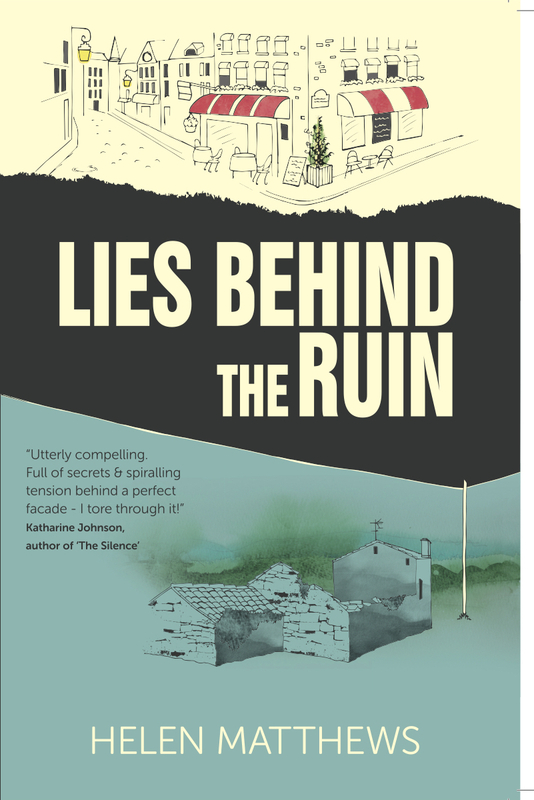 To find out what happens to the Willshire family, you can buy/preorder Lies Behind the Ruin (publication date 25th April) from Waterstones, Foyles or W H Smith, from Amazon or from Hashtag Press.